Profane Exitence repress of this stenchcore classic! "After several excellent releases (including an EP, LP and split 10" and split EP) and touring extensively in North and South America, HELLSHOCK has become synonymous with Portland crustcore punk. This new EP, recorded in March 2005, contains two powerful and dark anthems against corporate greed and the state power which upholds it. They also have an new LP, entitled Shadows of the Afterworld, on Feral Ward Records and another EP entitled World Darkness slated for release at the end of May 2005. They will be embarking on a full US tour with Finnish legends SELFISH in June and July 2005, and will tour Japan with EFFIGY in October. 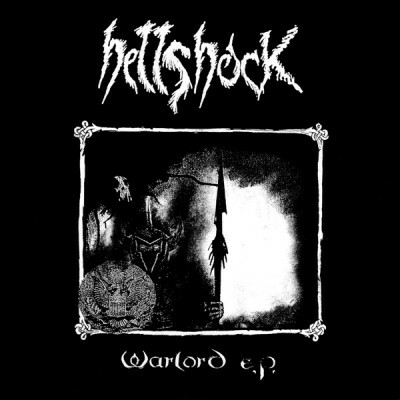 Having made such a lasting impression is such a short time (so far) HELLSHOCK are poised to become join such legends as AMEBIX and MISERY in the Crust Punk Hall of Fame!"